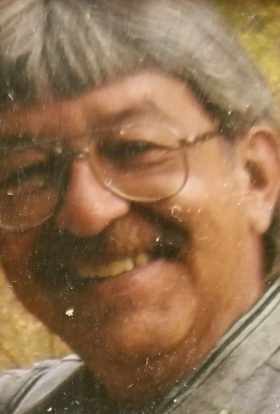 Passed away on January 25, 2019, age 63, at Aurora, West Allis Medical Center, after a short illness. Mark is survived by his loving wife Sandra, his father Arthur Olen, Sr. of Cudahy, his brother Arthur (Jodi) Olen, Jr. of Appleton, and his sister Susan (James) Cowel of Oak Creek. Beloved father of Marie Davis of Waukesha and Matthew (Tammy) Olen, Sr. of Milwaukee and their children, Storm, Matthew, Jr., and Austin. Further loved by other relatives and friends. Mark grew up in the Cudahy area and joined the US Army after high school, serving in Vietnam as a MP. He was proud of the time he spent serving his country. 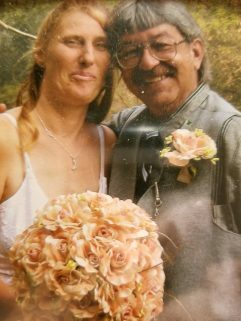 Mark married Sandra Lisowski on September 28, 2008. The love and support they shared for one another was a highlight in his life. Cheering on The Green Bay Packers, Wisconsin Badgers, and the Milwaukee Brewers brought great joy and fun to Mark’s days. In his younger, healthier years he enjoyed going hunting and fishing with his friends and later in life enjoyed sharing the stories. Sandra would like to express her hearth felt thank you and appreciation to the staff at St. Joseph Hospital (Milwaukee) and the Aurora West Allis Medical Center for their service and support during the difficult time of Mark’s illness. Private services held on Monday, January 28, 2019, in Milwaukee. A burial with Military Honors will be held at Southern Wisconsin Veteran Memorial Cemetery, Union Grove, Wisconsin at a later date. My brother Mark Olen was NOT a Vietnam veteran and definitely not an MP. This is a lie. He enlisted in the Army and went thru basic training and part of AIT and was discharged because of his knees . If he were a true veteran then why wasn't he being treated at the VA hospital?? Him and his wife are as dishonest as the day is long. This is a slap in the face to true veterans. I called the Veterans Memorial Cemetery and guess what?...I wasn't the first! This is wrong . I have a lot of great memories hunting and fishing with Mark. Seems like almost a lifetime ago but will never forget! RIP buddy. Mark did not finish basic training. He graduated in 1974 & was too young for Vietnam. This can be checked by looking up school records at Cudahy high school. I am sorry for his 3rd wife, because he lied to her. The army will not let him be buried in a military cemetary!